Chainsaw Journal | Chainsaws, Generators, Power Equipment, Tools & Toys. 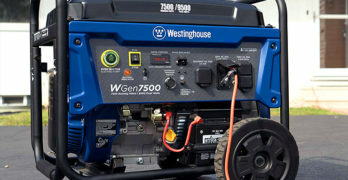 Alternator vs Generator : What’s the Difference? Q&A : How Tight Should A Chainsaw Chain Be? Review | Polaris 280 vs 380 | What’s the Difference? Chainsaw Won’t Idle, What’s Wrong? Cultivator vs Tiller : What’s the Difference? Milwaukee vs DeWALT | Which Power Tool Brand is Better? Salt Water Pool vs Chlorine Swimming Pool : What’s the Difference? Why Buy A Miter Saw? Reviews | Best Outdoor Storage Sheds for the Money | Great Backyard Sheds!